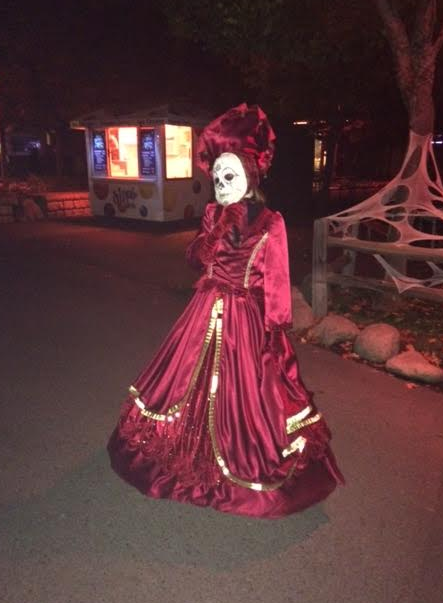 I went to opening weekend of Scarywood, Silverwood Theme Park’s haunted attraction. 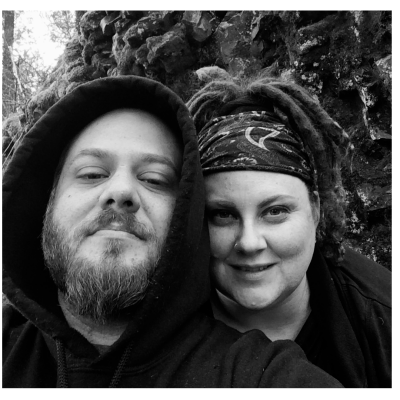 In the month of October, Silverwood theme park because a haunted theme park with several sections called ‘Scare Zones’ and haunted attractions. 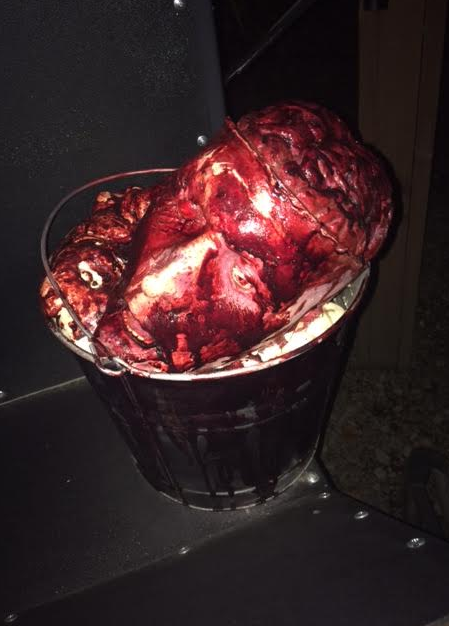 The park is only open Thursday, Friday and Saturdays in the month of October for the Scarywood part so there are very few days to go get the pants scared off of you! 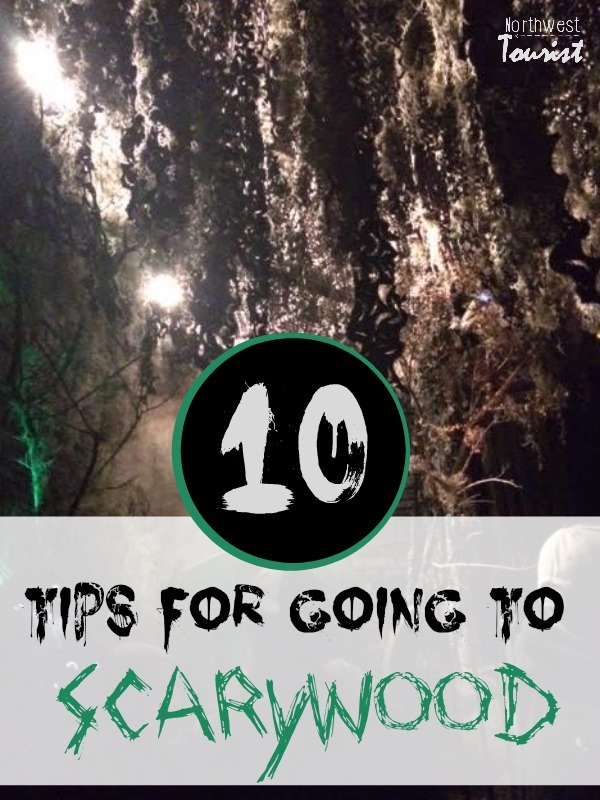 If you are heading to Silverwood to experience Scarywood, check out my list of 10 tips for going to Scarywood including how to get discounted tickets to Scarywood. Go early for the best deals- Often, during opening weekend (which is different each year based on dates) Scarywood offers deals. If you happen to be a Silverwood season pass holder, this is also when you can use your $10 off your ticket discount as well. 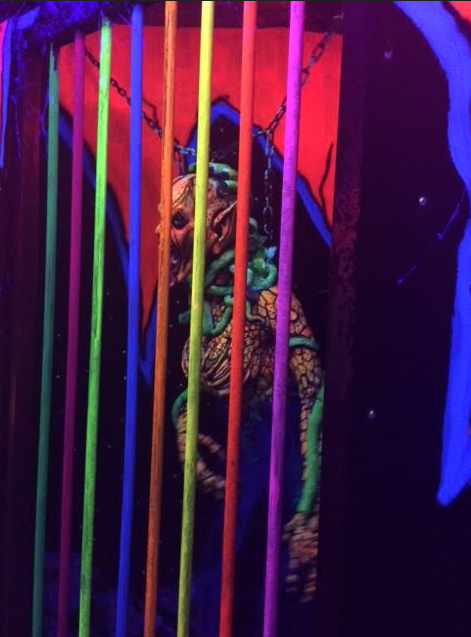 Book a group of 15 or more for a discount– Scarywood offers discounts when you book a group of 15 or more 72 hours in advance, so if you want to take a large group with you, even if you plan on splitting up later, you can get a discount to book it in advance. 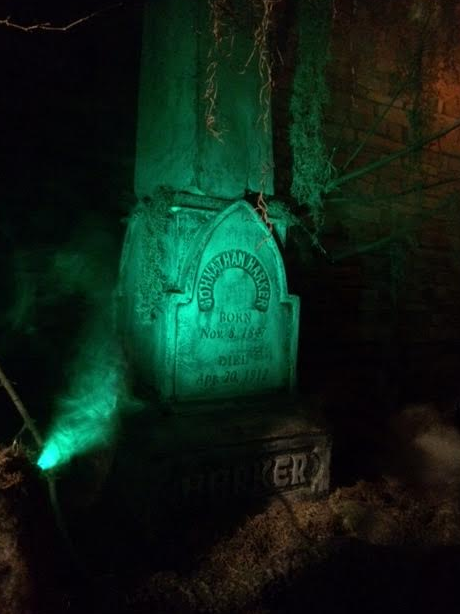 They even offer early entry into the park and a ‘monster meal’ with the Scarywood crew. Don’t wait until it’s nearly Halloween to go– The earlier you go, the better the crowds will be. As Halloween nears, more people go, so if you plan of going and don’t want to deal with larger crowds and over the top lines, go early. On the other hand, if you are a firefighter, military, police or EMT, you can get in FREE on the last weekend. Don’t touch the actors or dress up in a costume– This is a huge rule in the park for everyone’s safety. You will be escorted out of the park by police if you touch any of the actors, even if you are just playing around. You will also be denied entry into the park if you wear a costume of any kind. Line up early if you want to get on the Zombiewood Express– The lines for the Zombiewood Express train ride can be 2-3 hours long if you don’t get on right away. To skip these huge lines, line up at the gate before they open 1 hour or so before they do and be one of the first ones in. 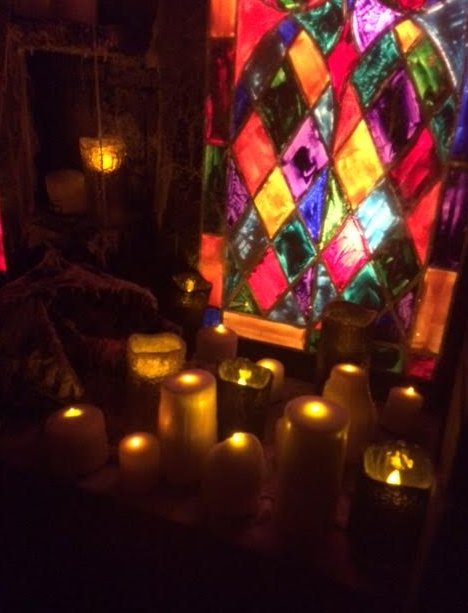 Plan out what you want to see before you go– Check out the haunted attractions and scare zones on the Scarywood website and plan out what you most want to see as there is usually not enough to to do it all since the park is only open for limited hours and days. Dress warm and wear layers– I brought a backpack in with me (be prepared to have it searched) and brought layers, gloves and a hat to wear as it got colder. In October, the weather can be unpredictable and very chilly (30’s and 40’s at night) so make sure to dress accordingly and wear layers that you can take off in you get too warm. Also, I suggest bringing ponchos (the kind you buy to use once) and umbrellas. Make sure you bring everything you may need into the park as there is no re-admittance. Heed the warnings about small children– Scarywood is not for young children. There is a lot of very terrifying elements from guys chasing you with ‘chainsaws’ and gore as well as lots of profanity. 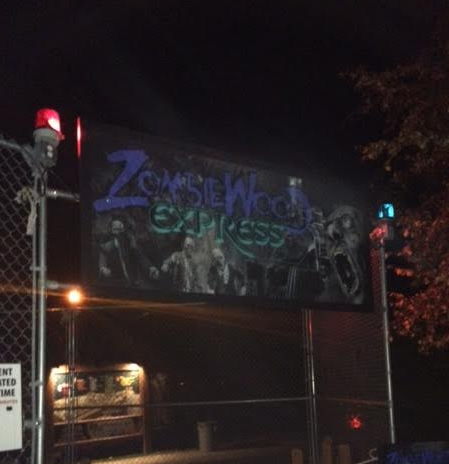 The park is recommended for ages 13 and up and the Zombiewood Express is recommended for ages 17 and up. This doesn’t mean they will deny your children entrance, but rather you should use some sense and decide if your child can really handle it. 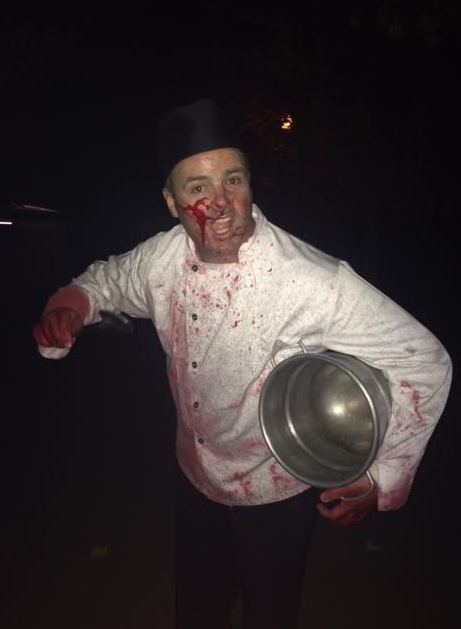 Bring a little extra cash for food, souvenirs and parking– Unlike many theme parks who have over priced food and souvenirs, Scarywood’s food and gear is not bad as far as price points. I got a T-shirt for $12 and food was about $15 for two people including hot cocoa. Parking is a flat $5 for the night. 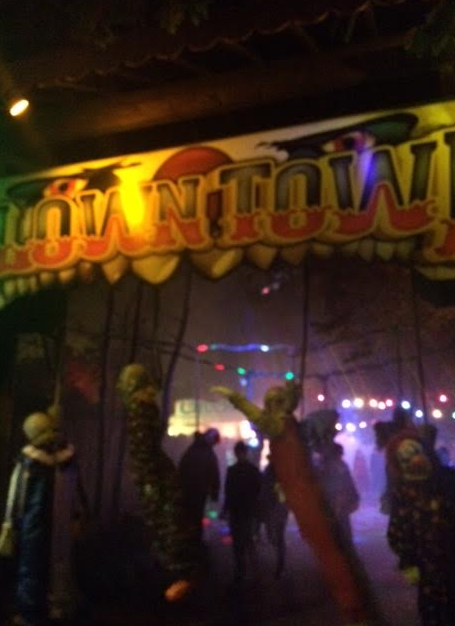 Skip Saturdays if you don’t like huge crowds– Saturdays are the busiest nights for Scarywood for obvious reasons. This means there will be long waits for attractions and rides. Plus, it’s also the most expensive night to go.You won’t miss any attractions (at least nothing is different) by going on a Thursday or Friday night and the ticket prices are $26 and $33 respectively rather than $40 on Saturdays.The park is, however, open for different hours on Thursdays so you miss a bit of time as it’s only open from 6:30 pm to 11 pm rather than 7:00 pm to 1 am for Friday and Saturday night. One last tip: If you have asthma, be cautious about what areas you choose to go to, especially the ‘Scarywood Nest’. The park has some areas that have high concentrations of fake fog that may upset your health condition.